Product categories of Stair Step Board, we are specialized manufacturers from China, Stair Step Board, Steel Grating Stepping Board suppliers/factory, wholesale high-quality products of Side Foot Stair Board R & D and manufacturing, we have the perfect after-sales service and technical support. Look forward to your cooperation! Stair Step Board is made of Steel Grating plus anti-skid and side plate combination of deep processing products. Mainly used for stepping on the steel ladder, it is usually called Staircase Stepping Board, referred to as the ladder pedal. Stepping Board is also called staircase stepping board, steel staircase, steel ladder. Is a steel grating for the platform of a staircase, according to the installation, the general fixed and fixed bolts two types. Directly welded to the keel, do not need to step step plate side panels, relatively more economical and durable but not easy to dismantle, bolted fixed step board on both sides need thick side panels, drilling on the side plate, the installation is directly fixed by the bolt , Can be repeated recycling. 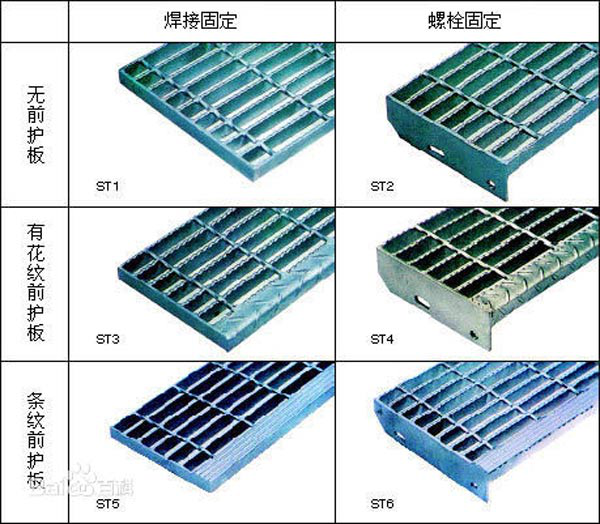 Customers can customize according to their actual needs, available any type of steel grating caused by a variety of sizes to meet the corresponding stairs. Timber width is usually between 0.5 meters to 1 meter. Stepping board tolerance: width W 3mm, length L-3mm. The use of stepping board is very wide, in the power plant, water plant and other factories, and municipal engineering, sanitation engineering and other fields of the platform, walkway, theater, visit the platform, parking and other large sites on the ground platform, have a wide range of applications.